Tonight at the O2 Academy Birmingham You Me At Six bring their headline tour to the venue for a sold out show. As well as the headline dates they have been performing special anniversary shows to celebrate the 10 year release of their debut album ‘Take Off Your Colours’ where they will play it in its entirety. 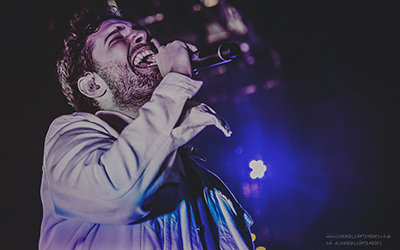 You Me at Six are now used to playing venues of the arena caliber, so obviously with a 2500 cap, tickets sold out very quickly and the venue is completely sold out. 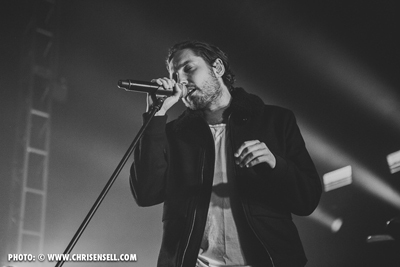 With a deep blue light, singer Josh Franceschi enters the stage alone and gives us some of his beautiful melodies shortly joined by the rest of the band after.